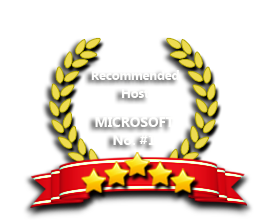 ASPHostPortal windows hosting is compatible with the AbleCommerce. We offer AbleCommerce based hosting plan from just $5/month. AbleCommerce is an ecommerce shopping cart building program created in 1993 when internet commerce was in its infancy. It has since come a very long way and has gained very high standards and major awards as a product. AbleCommerce has trained knowledgeable staff, dedicated to answering, supporting and solving any problems which you may come across. Designed for website administrators and developers in mind and with an all in one (AIO) system and content management system (CMS) which is future proof, AbleCommerce uses friendly ASP.net code which can create a unique customisable integration of ecommerce tools and software which will make your website have an ease of use and have an edge over your competitors. ASPHostPortal.com is a windows-based hosting service provider. ASPHostPortal.com offers the most reliable and stable AbleCommerce web hosting infrastructure on the net with great features, fast and secure servers. Depending your requirements, we can scale so we can deliver the right service for the right price. All of our windows hosting plan supports AbleCommerce. Our support team is extremely fast and can help you with setting up and using AbleCommerce on your account. Our customer support will help you 24 hours a day, 7 days a week and 365 days a year.